Save the Date! 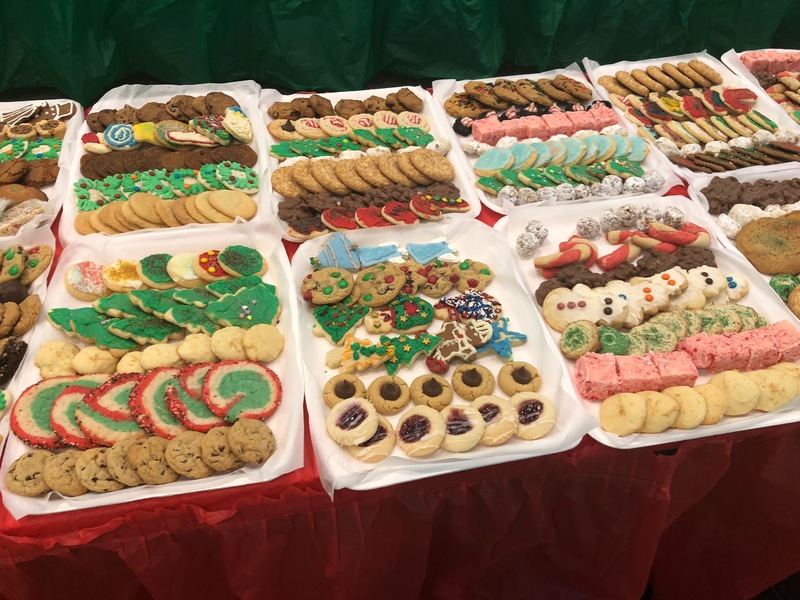 Saturday December 7, 2019 Details Coming Fall 2019! Save the Date! Thursday July 25, 2019 Details Coming Soon! Habitat Dedicates Home #66 To the Robinson Family September 2018 Thank you to our Sponsors: AU School of Architecture, Planning, and Landscape, Rural Studio, McWhorter School of Building Science, AU Panhellenic, Publix, Lee County Association of Realtors, Dr. John & Roberta Hand, Auburn Rotary, Beck's Turf, Ecological Insulation, Jonquil Garden Club, War Eagle Garden Club, University Ace Hardware, The Fannie Mae Foundation. Solera Studios- David Bitter, AIA, CPHC. Airedale Energy Consultants- Bruce Kitchell, PHIUS +Rater, Oasis, Mitsubishi, Ultra-Aire, RenewAire Energy, Zip systems, Turnispeed, AU Reprographics, Insurance Institute For Business and Home Safety. Opelika Observer. 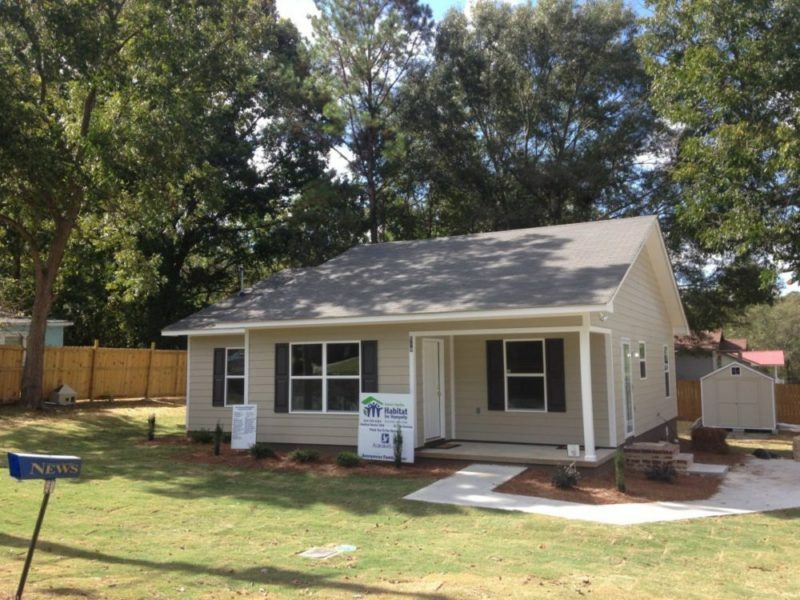 Habitat dedicates home #65 to the Carr Family at Auburn Street, Opelika. ACI Worldwide, Jonquil Garden Club, Walmart, and Auburn Rotary. 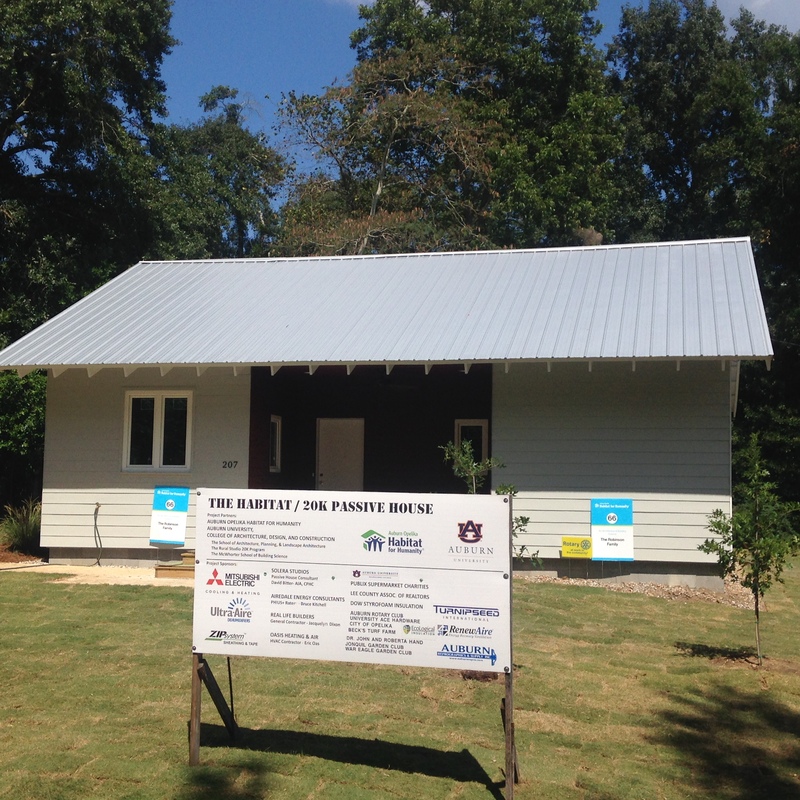 Thank you to Dr. John and Roberta Hand and Auburn Bank for sponsoring this home. 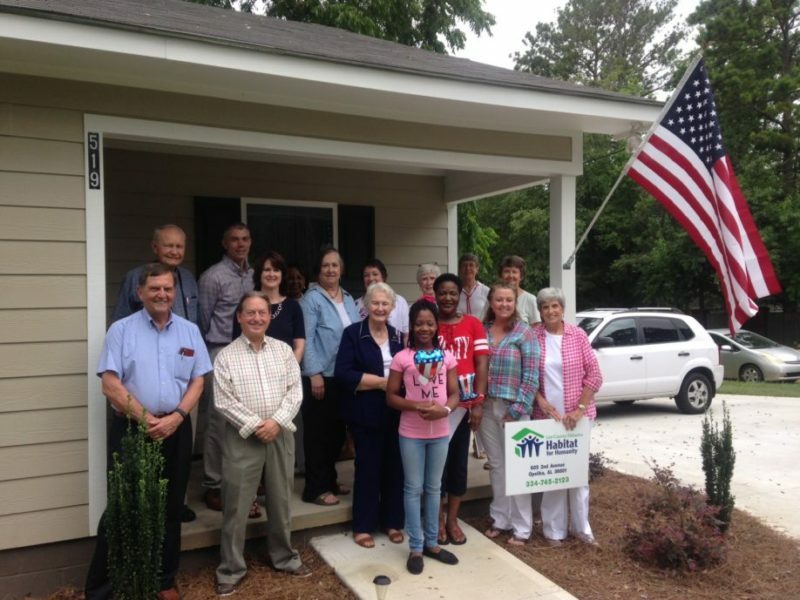 Habitat dedicates home # 63 to the Gullatte Family at Luverne Avenue, Auburn. 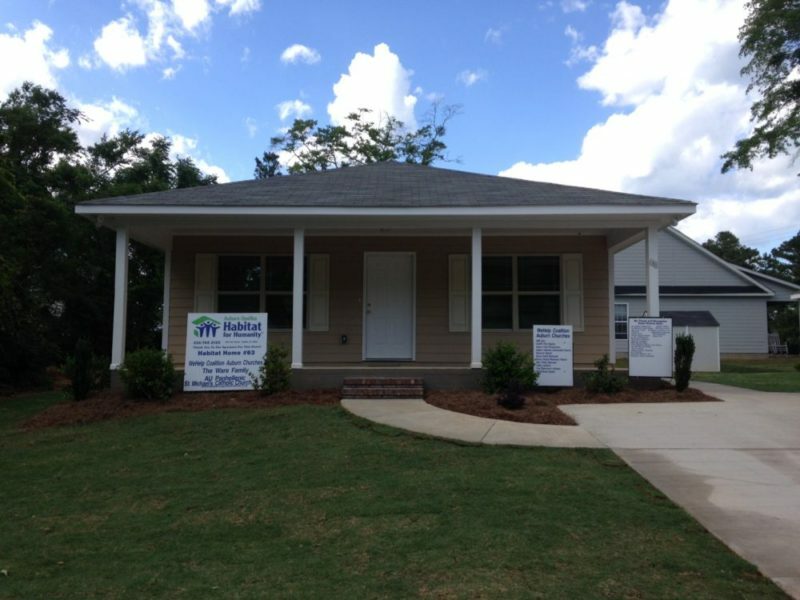 Auburn Opelika Habitat for Humanity is a nonprofit, nondenominational Christian housing organization. By building with volunteer labor and offering zero-interest mortgages, we partner with low-income families to help them build equity towards stable futures. 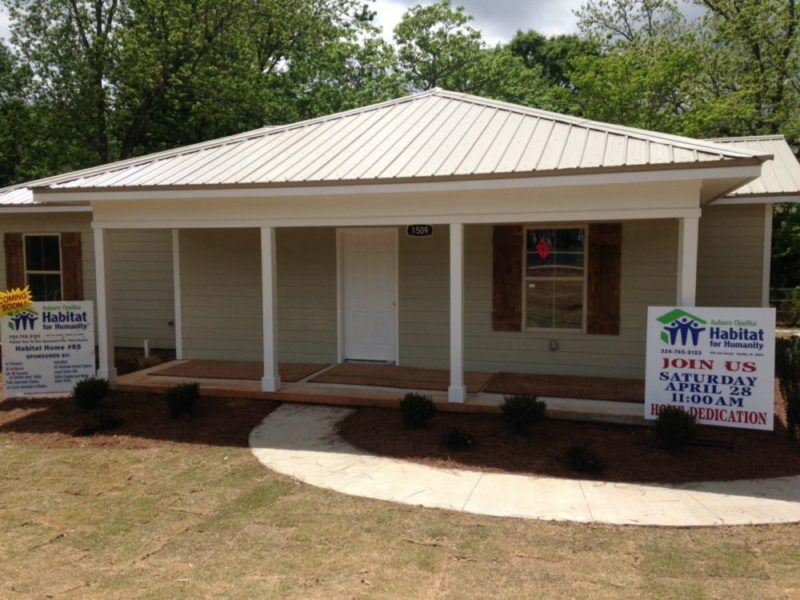 We welcome all people to join us as we build simple, decent, affordable houses in partnership with those in need of adequate shelter. Habitat for Humanity does not build houses for families; rather, it builds alongside those who demonstrate need and willingness to partner with Habitat. Homeowner families invest hundreds of hours of their own “sweat equity” labor into the houses. Their monthly mortgage payments go into a revolving Fund for Humanity to help fund the construction of more houses. The partnership continues! 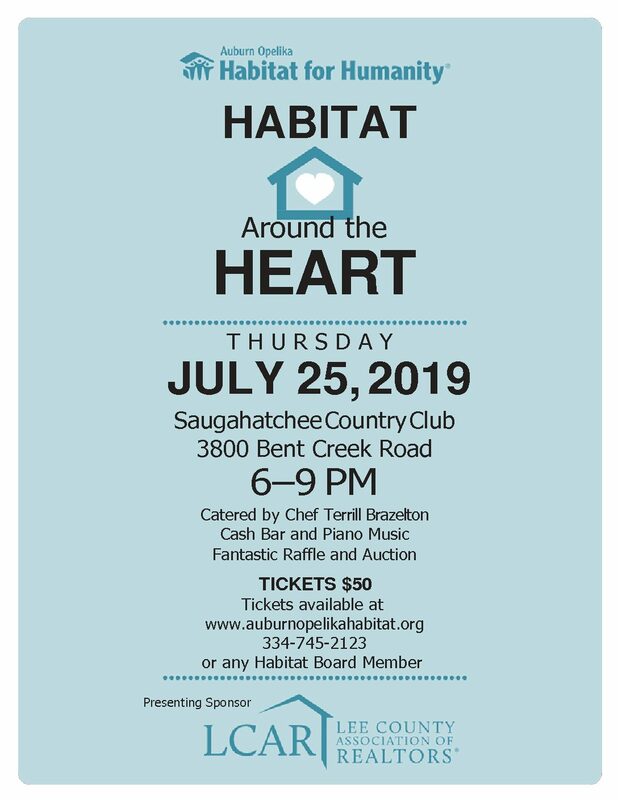 The ultimate goal of Habitat for Humanity is to eliminate poverty housing and homelessness from the face of the earth by constructing and building adequate and basic housing. Furthermore, all our words and actions are for the ultimate purpose of putting shelter on the hearts and minds of people in such a powerful way that poverty housing and homelessness become socially, politically and religiously unacceptable in our nations and world. By working in cooperation with God’s people in need to create a better habitat in which to live and work. By working in cooperation with other agencies and groups which have a kindred purpose. By exemplifying the Gospel of Jesus Christ through loving acts and the spoken and written word. By enabling an expanding number of persons from all walks of life to participate in this ministry. 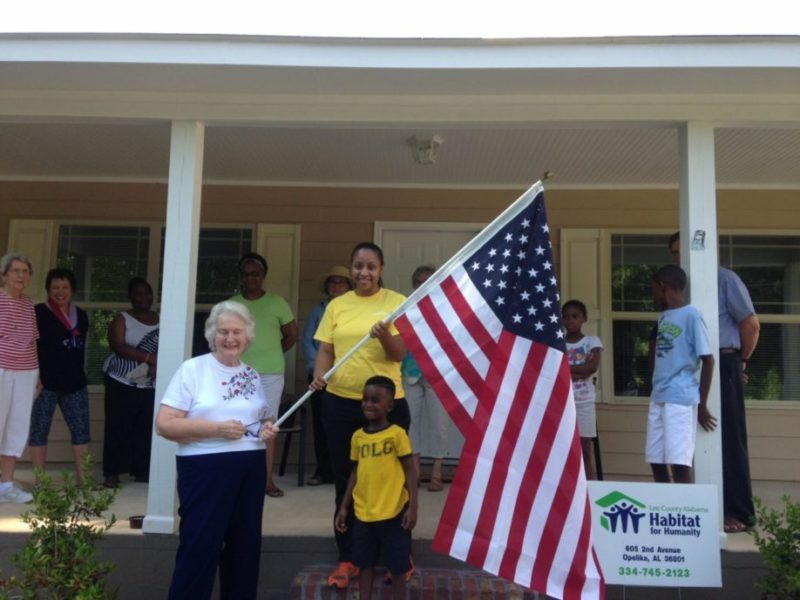 Visit Habitat For Humanity International for more information on the organization!